The Christian blogosphere is a disgrace to Jesus and the Gospel. We are a laughing stock to the world. And we are all to blame. I am. You are. We need to stop passing the buck to the people we disagree with. We need to stop point our weapons at each other start finding creative ways to overcome our differences so that we can shine the Gospel into this enormous online world. If there’s one petition we need to get out there, it’s a petition to all of the Christian bloggers out there and all of the Christian tweeters out there and all of the Christian Facebook users, Googlers, Mac lovers, Youtubers out there: Together we need to actively, intentionally, contribute to a positive image of the Kingdom of God online. Posted on July 26, 2012 by John MeunierPosted in Blogging, Christian life, DiscipleshipTagged Blogging, Christianity. Very true, sadly. We ought to be the salt and the light of the world. But the world is beginning to see us as one of them. We are all to blame. I am to blame. 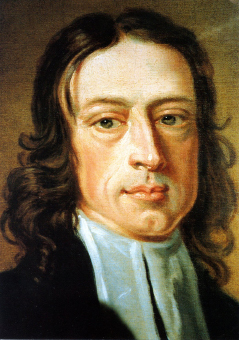 I have in a couple of pieces suggested that John Wesley would be amazed by the technology that we have at our disposal and then turn right around and figure out some way to utilize it. I looked at Derek’s piece but got bogged down in all that he was trying to do and say. But I had to conclude that if what transpires out in the Internet is an embarrassment to Christianity, how does he feel about television preachers, the prosperity gospel, and Westboro Baptist Church? Truthfully, I don’t go out in the morning and look to see what’s on the blogosphere; thank heavens I can get certain blogs through connections and we have the Methoblogosphere daily updates. One of the first things that I learned when I began using e-mail was that you had to be careful what you wrote and to whom you were writing. Etiquette in e-mail was a very big then; perhaps it is not so today. Derek’s conclusion is an interesting one. He wants to reach out to the world but he doesn’t want to do it with the tools that he has at hand. How will he do it? I am not a fan of on-line church though I think Kevin Watson’s suggestion about on-line classes in the Wesleyan tradition is a good one. Derek, sit back and think for a moment. There may be one person that you have reached through your blog; where will that person go now? I think that we need to consider that – if we are God’s children and Christ’s disciples and we have the capability and the technology to reach that one person no one else can, shouldn’t we do so? I tend to think John Wesley would agree. I am not sure of how to respond. I say this because I am a Christian blogger. I don’t just write stories to encourage people. I honestly seek to write in a way that pleases Jesus. By pleasing, I don’t take out my baseball bat and beat someone’s brain in. At the same time, I know where Derek is coming from. As it happens, I wrote “Who Are My Brothers?”. It is based on the very same issue of Christians behaving like pagans rather than one who serve Jesus. I’ve not read Derek’s blog or bothered with Richard Bell. I would make this suggestion. Let’s not give an opportunity to Satan. For this is what we’re doing when we walk away in anger. The snake would just love that!